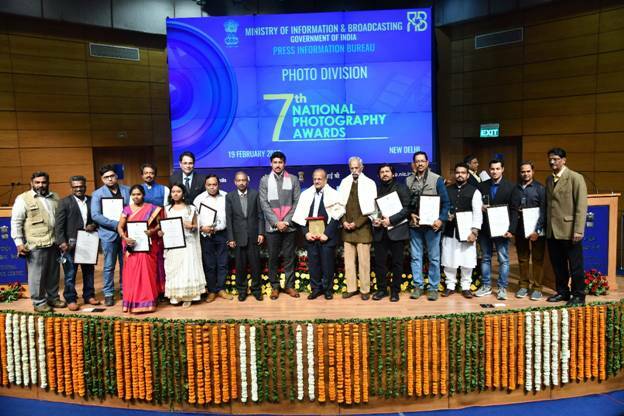 New Delhi; Union Minister of State (IC) for Information & Broadcasting and Youth Affairs & Sports Col. Rajyavardhan Rathore today presented the 7th National Photography Awards in a function organized at National Media Centre in New Delhi. A total of 13 awards were given comprising of one Lifetime Achievement Award with cash prize of Rs.3,00,000; one award each in Professional Photographer of the Year category and Amateur Photographer of the Year category with cash prize of Rs.1,00,000 and Rs.75,000 respectively; and 5 Special Mention Awards in both Professional and Amateur categories with cash prize of Rs.50,000/- and Rs.30,000/- each respectively. The theme for the Professional category was “Women led Development”, while the theme for Amateur category was “Fairs and Festivals of India”. The Jury Committee comprised of Dr. Shiv Narayan Joshi, Chairman; Shri Susanta Banerjee, Member; Shri Prakash Singh, Member; Ms. Rathika Ramasamy, Member; Shri Kalyan Verma, Member; and Shri Sanjiv Misra, Photographic Officer, Photo Division – Member Secretary. Col. Rathore also visited the Photo Exhibition set up at National Media Centre. A special Brochure was also released by the dignitaries on the occasion. Speaking at the event, Col. Rathore appreciated the photographers saying that they not only capture moments but also fill them with a soul. He highlighted the significance of photographs as a storehouse of memories. He also eulogised the virtues of perseverance, patience, discipline and passion which go behind the hours spent by photographers waiting for the perfect shot. Stating that every picture has a story to tell, he appreciated photojournalists, whose labour behind shooting the perfect frames often goes unnoticed. 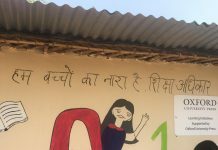 Col. Rathore also suggested I&B Ministry to circulate the photographs displayed in the Exhibition in schools and colleges across India in order to let youngsters see these pictures and learn from these inspiring images. Shri Sitanshu Kar, Principal Director General, PIB talked about the democratisation of the art of photography through technological developments. He also highlighted the significance attained by the National Photography Awards since the inception of the Awards in 2010. Shri Amit Khare, Secretary, Ministry of I&B; Ms. Ira Joshi, Director General, NSD-AIR, Shri Mayank Agrawal, Director General, DD News; Ms. Sadhana Rout, Director General, DPD; Dr. Shiv Narayan Joshi, Chairman, Jury Committee; senior officers of PIB and of Ministry of I&B were also present on the occasion.